When shopping for your next car around Columbia, we know it can be challenging to find the all the benefits that come with buying a new Mazda model at the price point of a used car. With a Certified Pre-Owned Mazda, you can have it all! We appreciate your interest in our inventory, and apologize we do not have model details displaying on the website at this time. Please fill the form out below and our team will quickly respond, or, please call us at 803-404-5100 for more information. Curious about our Certified Pre-Owned selection or want to know more about why you should buy a CPO model? 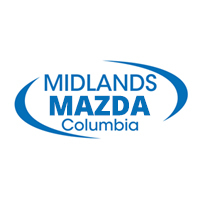 Give us a call at 803-404-5100 or contact Midlands Mazda online to ask questions, schedule a test drive, or see our Certified models in person. These low-mileage certified vehicles have gone through a comprehensive inspection process, and include a thorough history report and warranty coverage that you won’t find on a standard used car. Experience the best of both worlds thanks to our Certified Pre-Owned inventory.